Recently as I was watching the Olympics the network kept advertising a special they were doing regarding an incident that happened twenty years ago. 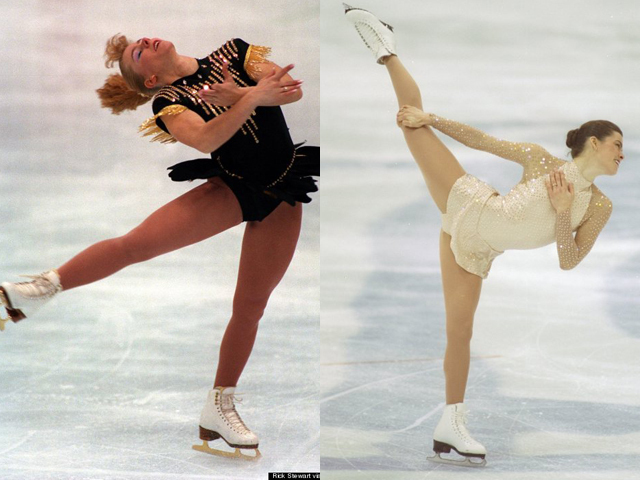 Some of you may remember it, the Nancy Karregan and Tonya Harding incident, where Nancy and Tonya were competing to go to the Olympics and Nancy was attacked by Tonya’s estranged husband. It was in the news quite a bit during the 90’s. I remember it quite well. But in the interview this time it brought up the fact that Tonya had come from a very rough background, had not had much support from her family and had overcome a lot of odds to even get to the Olympics. Nancy was in a more stable situation with a lot of support from both parents. It seems as though she had a stepparent in the mix, but both parents were supportive of her. As I watched this I saw the two reactions to a situation that were very different. Tonya seems very angry to this day, and Nancy not angry but forgiving. Tonya is on her 3rd marriage and Nancy it looked like was a single working mom. Both had some successes, but both some challenges in their life. conqueror. People sometimes ask why do I want everyone to just stay married? You know not everyone has bad divorces. That makes me go back to the word tendencies. I teach this in my classes at the high schools. I have a bag of white beads with a few red beads in the mix then I have a few white beads in the bag of red beads. Then I have a student try to pull out a white bead from the mainly red bead, and do the same in the white bead mixture. The idea is to teach there is never all or nothing. More times than not when we talk about people there are so many variables you can’t necessarily predict exactly what will happen when parents divorce. But we do know there is a tendency for negative. Years ago I had a Rainbows for God’s kids support group. I tried to get different children into the group, but many refused, thinking that this would be a negative connotation for their child. It’s now been fifteen years since I did that class. I mainly did it for my own children. During this class I taught the children about not being the victim, and how to handle anger. I don’t remember all the children that went through the class, but I do remember my own. I see them now and see two very stable children in wonderful stable marriages. Are they perfect, will their marriages last? I hope so, it’s not guaranteed, but I feel good that I did all that I could to encourage them to have a positive outcome from a negative situation. I see the attitude many times, that “We are FINE!” we don’t need to go to a marriage class, those are stupid and a waste of time. Well, all I can say to that, is the research shows that those that go to classes to learn how to work on their marriages and make an effort to learn skills have a tendency to have healthy, fulfilling marriages as well as other good relationships. Is it that they had the personality for this that made them have the tendency? Maybe. Or was it the skill? Maybe. As a healthcare provider I know that whatever you do to prevent illness is much better than going through the illness itself. That’s why we give vaccines. Will everyone get the flu that doesn’t get a flu shot? No, but I’m a higher risk so I’m not going to take chances. That’s why we offer classes to the students and provide events that are marriage friendly. When we encourage strong healthy marriages, we prevent lots of other problems. I hope you will consider joining us for the next event Tour De Romance with Michael O’brien. It’s fun, but oh so encouraging. What do you think about preventing divorce? Do you think it might be possible to prevent by teaching good habits?